We originally wrote this article for DailyFinance, but it’s an important topic that we haven’t discussed in a while so we wanted to share. We’d love to hear any thoughts you have on joint checking. Personal finance is just that — personal. When you’re single, you, yourself, and you have complete control over your bank account. Only you know how much you spend on your secret Russian nesting doll collection. But then you find a special someone to take down the aisle. You’ll share your life with that person, but will you share your finances? Well, that’s a complicated question, since “finances” could refer to any number of areas, from your mortgage to your debt. But one of the most basic and fundamental financial decisions that married couples make is whether to share a bank account. There are compelling arguments on either end of the spectrum for and against joint banking. And ultimately, it’s a personal decision between you, your spouse and Dr. Phil. And Dr. Phil’s gonna tell you to keep your accounts separate. But my husband and I did just the opposite. Soon after we said “I do,” we said goodbye to our individual checking accounts. Not only have we never regretted it, but we think joint banking has actually brought us closer together. Money flies in and out of our bank account faster than our baby rolls away during a diaper change. But tracking exactly how much we’re spending and saving is fairly easy when we’re using a central account for most of our transactions. We each have a few individual credit cards, but we pay them off with our joint account. It ensures we’re always both aware of where our money is coming from and going to because we have a shared account that we both see. Opening our joint checking account and closing our separate accounts immediately changed the way we look at our finances. The money was no longer mine or his — it was ours, literally and figuratively. And we still think about it that way. We don’t bring home identical paychecks, but we both stick to identical budgets. We’ve budgeted out personal spending for ourselves, but we each get the same amount. And our financial goals are the same, too. It’s easy for us to stay on the same financial path and stick to our financial goals when neither of us has ownership over a certain percentage of our money. Because all of our spending is aired out for the other person to see, we don’t keep any financial secrets. We know what the other person spends, and on what. While this may sound a bit stifling, it keeps both of us from creating unhealthy spending habits. And more importantly, it keeps an open line of communication about our spending. Of course, all bets are off around birthdays and Christmas. (We have a “no peeking at the bank account” rule to keep from spoiling any surprises.) We even let loose every once in a while. Can you tell how wild and crazy we are? Kidding. Of course, there are other considerations. We married young, and the only financial baggage we brought into our marriage was my student loan debt (which became a joint effort to pay off). If we’d been older and more settled, the decision to share our finances would have been a more significant one. But as the saying goes, “The couple that banks together stays together.” Or maybe I just made that up. While joint banking isn’t for every marriage, it works for us. And maybe it’s the financial recipe for you, too. Team joint-banking over here. This is not intended to be a criticism of the way other people do things, but for us it has been the right decision for our finances and our relationship. I think this is one of those financial decisions that goes a little deeper than most into the type of relationship you have. Some couples do well having clearly defined boundaries, others do well sharing most/all. Totally on board with joint banking! The day after my husband proposed we headed to the bank! Growing up, my parents had separate accounts and always fought about money – down to who needed to give us lunch money that week. I never wanted my relationship to be like that. Also, I really like your point about not earning the same paycheck, but sticking to the same budget. Even though our income has never been even and we have each out-earned the other, because we share a bank account, everything is “ours” and no one has more weight in the financial decision making than the other. But, like you, we married young and had little baggage going into the joint account. Thanks for the great article. I hope you are enjoying your new home! I think joint accounts are the way to go in a marriage. Before I got married I had a hard time thinking about combining forces financially. But I knew that I wasn’t ready for marriage until I could do this. It ensures you operate like the team that you are. Transparency is so important in a marriage. My husband and I have a joint account and it works for us and our marriage. That said, I have seen other couples that successfully maintain individual accounts and not have it be an issue. This appears to be especially true when one partner runs a business, or other type financial venture. When I think about this subject I always come back to my grandparents. They were married for 60+ years without ever sharing a bank account. Both had careers – she as a teacher and he as an engineer – modeled a true partnership of equals. So I guess it really is to each his own. We are joint bankers here. We also married young, and each brought a little debt to the relationship (me, student loans; him, consumer debt), but as you said, it was (and still is, for the student loans) our task to pay it off using our money. I was actually resistant to combining at first, mainly because I saw my mom get financially bullied by a now-ex husband, and I felt the need to have control. Luckily, the hubster was fine giving the responsibility to me, so I handle our finances. I get the control and accessibility I need; he doesn’t have to worry about the task of bill paying. Admittedly, we follow more of a spending record mentality than a budget, and there is a disparity in our income, but we make major financial decisions jointly and as equals. It certainly works for us. 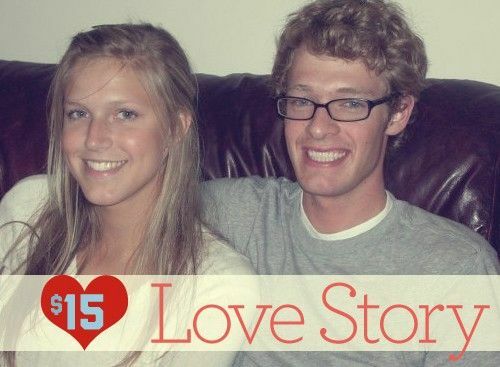 We combined our accounts even before we got married (but we were already engaged). It’s just simpler and one less thing to track. I do most of the banking and tracking, though, which may be a good reason that it works. I agree with Dominic- “Transparency is so important in a marriage. It’s truly our money.” Our credit cards and all bank accounts are joint, and it was never really a question for us. 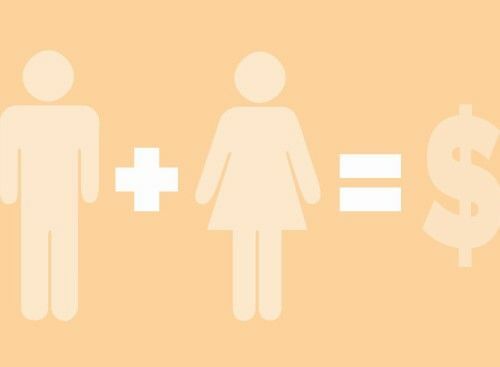 We got married with very little money to our names, so pooling it together was a better option We’re currently living on one income, so having separate accounts would be tricky!! Definitely joint banking! I’m sharing my entire life with him; this includes finances too. 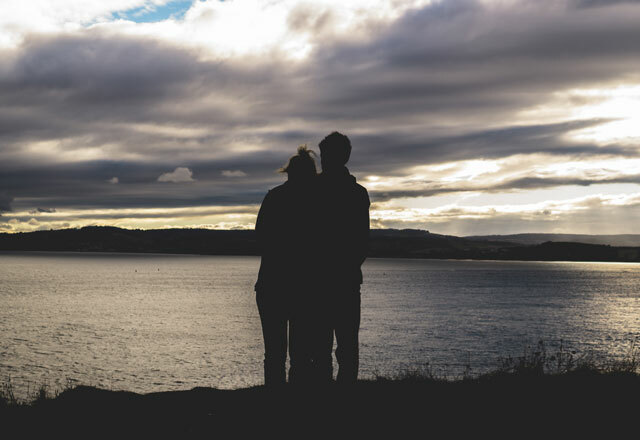 Really great idea: if the couple is able to communicate well and set plans together, this can only foster a better spending habit and help the couple achieve their dreams faster. We do have a shared account and do everything together: it helps us a lot with planning, budgeting and setting goals. 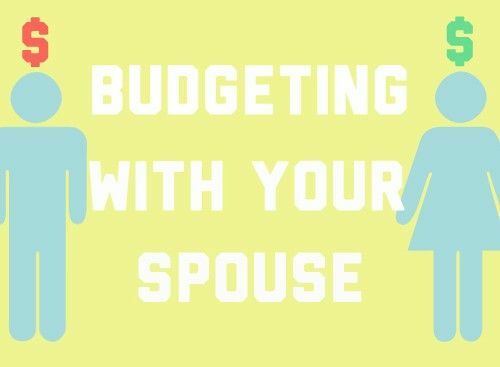 I totally think it’s different for each couple, however for my husband and I, it’s necessary to keep our marriage out of divorce 😉 I am a big spender, he is a big saver. We balance each other out by having a joint bank account, I am less likely to shop mindlessly if I know he’s gonna see it and ask what this or that is. He doesn’t mind, he just wants to know, and when I don’t have a good reason (for myself) why I bought 2 new pairs of shoes, I feel bad, so it stops me buying the shoes in the first place. I know several married couples who don’t do the joint bank account thing, and I think you gotta do what works for you! I’m not married, but in a long-term relationship and we have both separate bank accounts and a shared account. We both transfer a certain amount into the shared checking for our bills and household emergencies, basically everything to cover our budget. But we each have our own accounts too. In fact, my paycheck is direct deposited into my separate checking account, then funds are transferred to the joint one. This way, we both still feel like we have some control over the money we make. Also, sadly to say, I’m the one with debt in the relationship (consumer and student loans), so a good bulk of the money in “my” checking account goes to my debt payments. My SO did a great job contributing the bulk of $ to our household emergency fund so I could funnel my cash to towards my debt. To each his own, as they say; do whatever keeps the peace and keeps you headed towards the same goal. I’m definitely pro joint bank accounts (although we’re not married) for all the reasons mentioned. However, we both still have a personal account for our ‘pocket money’, we don’t need to know how much the other spends on hair cuts & handbags/ playstation & boys weekends or presents for each other. Although we’re both well aware that when kids come along our budgets will look very different. I don’t think it matters which way you go if your relationship is solid. Accounting is just that. Accounting. Moving numbers around. It’s not the logistics that’s important, it’s the issues behind the money. If I were to take the points you made, I would say the real issues being pointed out are: Communication, Working together, Trust and responsibility.